Welcome back to our Firm Profile series. Today we’re going to be looking at Booz Allen Hamilton, a firm with a great name and a confusing history. Headquartered in the Greater Washington, DC area, Booz Allen Hamilton is well known for its governmental work. But after several sweeping changes to Booz Allen Hamilton’s infrastructure, the question now hanging over Booz Allen Hamilton is how it’s going to weather the storm and if it will come out stronger on the other side. In 1914, Edwin G. Booz developed a theory that businesses could be more profitable and more successful if they could garner advice from impartial outsiders. From this noble seed came a company that birthed management consulting as we know it. And, let’s be honest here, don’t we all love that his last name was Booz, and that he named the company after himself? Over the years, Booz Allen Hamilton has also done a lot of work for the federal government. From security projects for the Department of Homeland Security, to working with the FCC to improve public warning systems, and providing intelligence support to military and defence agencies, Booz Allen Hamilton has been around the block a few times. This also means it has friends the high places, so you don’t want to take the firm lightly (or, for that matter, be mean to the big boys). One confusing thing about Booz Allen Hamilton, however, is the number of name changes it’s gone through its 100+ year history. Starting off as Edwin G. Booz, it’s also been known as Business Engineering Service; Edwin G. Booz Surveys; Edwin G. Booz and Fry Surveys; Booz, Fry, Allen & Hamilton; Booz, Allen & Hamilton; and finally Booz Allen Hamilton. Another confusing thing about Booz Allen Hamilton is its organizational structure. In the good ol’ days, Booz Allen Hamilton was two very distinct businesses. There was one arm that dealt with governmental clients and another that dealt with commercial entities. In 2008, after months of negotiations, the commercial side broke away and became Booz & Company, with the governmental side keeping the name Booz Allen Hamilton. As part of this process, Booz Allen Hamilton sold a $2.54B majority stake in itself to private equity firm The Carlyle Group as a means of reinforcing its independence from Booz & Company. Just a few years later, in 2010, Booz Allen Hamilton went public and the Carlyle Group remains a majority shareholder. During negotiations, Booz Allen Hamilton agreed not to compete with Booz & Company for 3 years and therefore kept within the realms of governmental and public sector work. After the provision against competition expired, Booz Allen Hamilton has diversified its client base, moving into technology integration and cybersecurity programs. As for Booz & Company, it was purchased by PricewaterhouseCoopers and became Strategy&, a firm we covered in an earlier Firm Profile. Although Strategy& worked to rebrand itself as non-government focused and BAH has worked to diversify, both brands are really overshadowed by the (wealthy but non-stealthy) legacy of working directly with Big Brother both in the U.S. and overseas. At the top of the Booz Allen Hamilton food chain sits the board of directors. The President of the Board is Dr. Ralph Shrader, who served as CEO from 1999-2014. Beneath the board of directors are the senior management staff, including CEO Horacio D. Rozanski; CFO, Treasurer and Senior VP Kevin Cook; and Executive VP Karen Dahut. Those joining the firm right out of college will be hired as Consultants and MBAs will join as Associates. Because of the early requirements, BAH can be a great place to do an early internship. Unlike Bain or LEK, the firm doesn’t restrict itself to junior hiring and you have a great opportunity to learn some grand consulting processes and get a brand name on your resume with absolutely no experience. Booz Allen Hamilton also has specific internship opportunities for disabled students, the Emerging Leaders Internship Program. If you have a qualifying disability under the ADA, have completed at least 45 credit hours, and have a minimum 3.0 GPA, visit www.emerging-leaders.com for more information. To apply for an internship, visit www.boozallen.com/careers, create a profile, and use “internship” keyword search all internship opportunities. Hiring begins in the fall and lasts throughout the spring, but applications are accepted throughout the year. Candidates will be interviewed on campus or over the phone. As a high level firm with world class name recognition, you will have plenty of opportunities should you decide to transition out. From academia, to the corporate world, to MTV, former Booz Allen Hamilton employees have pretty much done it all, and that’s before we get into all the high level federal opportunities readily available to you. When you put things in the context of its history, Booz Allen Hamilton is uniquely positioned to give its alum access to a both public and private sector opportunities. Having retained the governmental work, kept the prestigious 100-year-old “Booz” name, but now exercising its freedom to work with commercial entities working at Booz Allen Hamilton would definitely be a wise move for your early career. That being said, even though Booz Allen Hamilton does now have the freedom to work with commercial clients, it’s only been able do so since 2011 and building up a significant reputation and client base takes time. Art Collins – Chairman and CEO – Medtronic, Inc.
Gerry Horkan – Vice President of Corporate Strategy – Yahoo! Inc.
Boozers (yes, we’re calling them that) seem to have mixed reviews when it comes to working at Booz Allen Hamilton. There are lots of perks, such as flexible hours, great benefits, great work-life balance, paid parental leave and paid overtime for entry level Consultants who work more than 40 hours in a week (that will likely be you). But that’s not to say there aren’t drawbacks. After making a name for itself as a government contractor, the economic downturn hit. Hard. This meant revenues shrunk rapidly, as government spending was cut. Booz Allen Hamilton was left trying to recover fiscal ground and there’s been a huge push from the top to make sure the bottom line is at a desirable level. Experienced staff, in particular, are having a harder time in the midst of this season because they feel Booz Allen Hamilton’s priorities have shifted in the wrong direction and they miss the way things used to be. Since Booz Allen Hamilton went public in 2010, they feel many of the decisions and cuts that the management made have been in the interests of shareholders and not employees. Many remember how things were before 2008 and fear Booz Allen Hamilton will never return to the place of strength it once had. If you look closer, there are a few decisions that are a little bit concerning. The health benefits, though still excellent, are more expensive than they used to be, with higher deductibles. Offices are being sold off to increase the bottom line, despite falling revenues. Raises, too, are now no longer based solely on performance but are tied to many other factors, making them harder to get. What’s interesting though is that, in a case of not missing what you never had, newer staff members seem to really like working there and don’t really have as many complaints. On balance, it would seem that Booz Allen Hamilton is still a good firm to work for, even if some of the changes being made are disappointing, though not catastrophic. There are some within the firm who feel Booz Allen Hamilton is moving further away from strict management consulting and instead becoming a data sciences or high end analytics firm. Even though there are many great aspects to working at Booz Allen Hamilton and it is still a great place to work, there are obviously a few things you should take into consideration before accepting an offer. A definite high point about being a Boozer, however, is the firm’s ongoing commitment to junior staff members’ career development. Even though all firms say it’s a priority, not that many actually follow through with it. With internal courses, external courses, and mentoring programs among other things, Booz Allen Hamilton strongly encourages its staff to pursue growth throughout the year. Even if the firm itself is experiencing turbulence and change, if you work there, especially at the start of you career, you’ll definitely come out with some valuable experience. First things first: the chance of you getting a case to solve in a Booz Allen Hamilton consulting interview is greatly reduced when compared to other large firms. It almost sounds sacrilegious to put that in print, but it’s true (and wonderful for those of you that don’t love cases). When you’re interviewing at Booz Allen Hamilton, your first interview will be on campus, on the phone, or sometimes even in person – it all depends on your circumstances (learn more about case interviews). For the next interview, you will most likely have several 1:1 interviews with different mid-senior level staff members. Be prepared to speak highly of yourself and of your experience. Know your resume inside out so that you can walk your interviewer through your highlight reel with ease. Booz Allen Hamilton is a highly interpersonal firm, and many interviewees speak highly of the interview process, saying they felt like their interviewer was getting to know them as a person and not just asking them a memorized set of questions, so remember to present yourself well. Make and maintain good eye contact, a good firm handshake, etc. If you can make a good connection with your interviewers and represent yourself well, you will put yourself in a great position to be hired. Applying to Booz Allen Hamilton? 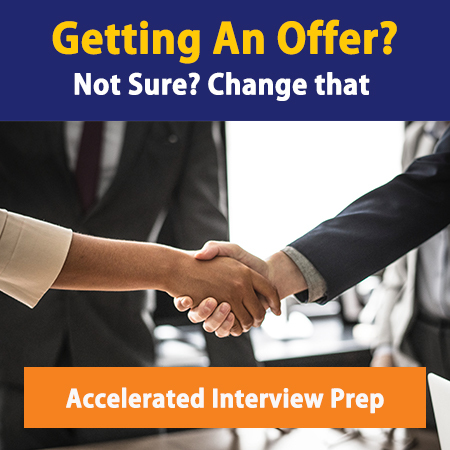 Or maybe you already have an interview with Booz Allen Hamilton and would like to make sure you’re up to speed with your resume and any potential cases that may pop up. Booz Allen Hamilton has established a forum for employees with disabilities, introduced ASL interpretation at major meetings and closed-captioning of corporate videos. Booz Allen Hamilton Chairman Ralph Shrader has also worked closely with the President’s Committee on Employment of People with Disabilities (PCEPD), Business Leadership Network and is the recipient of leadership awards from the National Business & Disability Council.